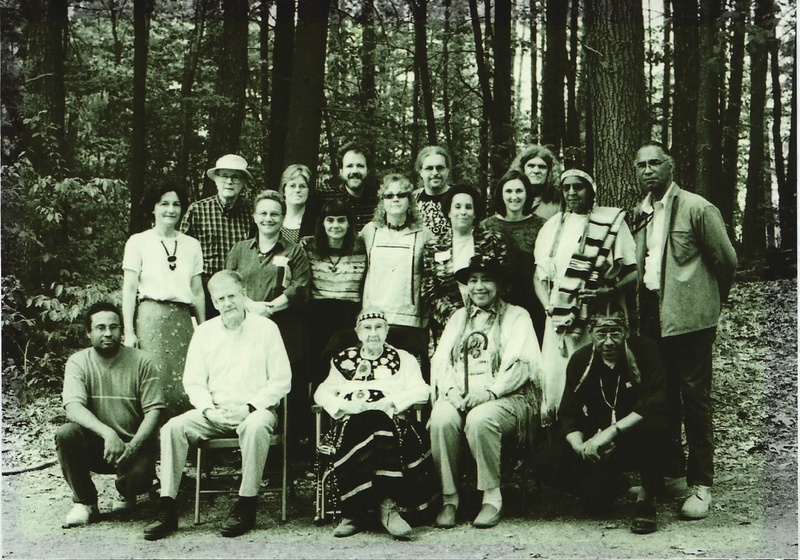 On March 30, 2001, after years of negotiations and controversy, the Friends of Wissatinnewag, Inc. purchased the Wissatinnewag property in Greenfield, MA. Originally targeted for construction of a Walmart, this last undeveloped piece of an ancient Indian village was now protected from commercial and industrial development. The Friends of Wissatinnewag (FOW) was co-founded by Monique Fordham and Howard Clark specifically to acquire the property from landowner, Peter Mackin. For years it had been the site of sand and gravel removal. The controversy over the site began in 1964 when amateur archaeologist George Nelson observed the excavation of numerous human skeletons from the site, then witnessed them being used as fill in White Ash Swamp across the road. His discoveries were made public and efforts began to protect the site, but excavations weren’t stopped completely until 1999 when the Massachusetts Historical Commission ordered their cessation because of the presence of prehistoric human bone fragments. The FOW paid $780,000 for the 61 acre parcel, considerably less than the original asking price of 2 million dollars. To his credit, Mackin lowered the price to make it possible for the group to take ownership. Twenty acres of the property alongside the Connecticut and Falls Rivers, on the migratory path of songbirds and considered essential habitat for spawning fish and freshwater mussels, was then sold to the U.S. Fish and Wildlife Service. To ensure its continued protection, ownership of the remaining 41 acres was transferred to the Nolumbeka Project, Inc. in January, 2013. As well as preserving this site, Nolumbeka Project is also committed to protecting the ten acres of White Ash Swamp across the road where George Nelson had observed human remains being dumped on land that is currently targeted for development. On November 4. 2013, the Appointments and Ordinance Committee passed and recommended the passage of a draft ordinance by the Greenfield Town Council that would offer the protections to all such re-burial sites. After a series of delays, however, an alternative was proposed on January 14, 2014 that has raised concerns that White Ash swamp will remain unprotected. Wissatinnewag, the Algonquin word for “shining hill”, is believed to be the name of the peace village located on Connecticut River where Native American/Indian peoples from all around the Northeast gathered and fished near the Great Falls. It was inhabited for thousands of years before hundreds of non-combatant villagers were slain by a colonial militia led by William Turner in 1676. The Wissatinnewag property was the last remaining undeveloped piece of what had been an extensive village. 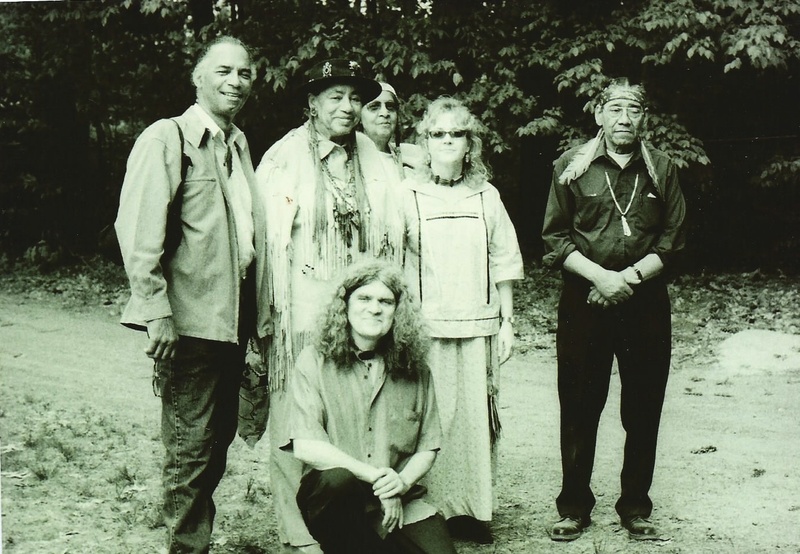 A member of the FOW Council of Elders and one of the last native speakers of the Western Abenaki language, Grandmother Cecile Wawanolett of Odanak, Quebec (seated front and center in photo above) confirmed the Algonquin sources, pointing out that “wissit” (slippery) and “noag” (a little used word for hill” would be combined to produce “Wissit-i-noag”–an apt name of a village whose slopes extended down to the base of the falls and thus would have received a constant sparkling spray. On May 19, 2001, a ceremony and celebration took place on the newly acquired property. Left to Right: Doug Harris, Dr. Ella W.T. Sekatau, A.H. “Laughing Water” Wilcox (in backgound), Monique Fordham, Lloyd “Running Wolf” Wilcox.